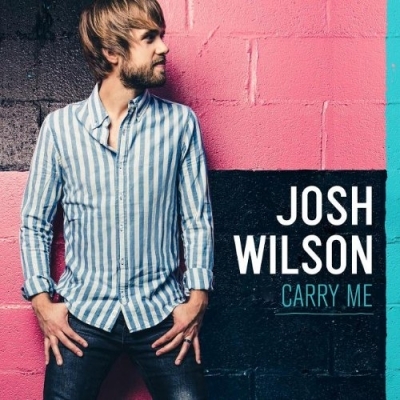 Singer/songwriter Josh Wilson will release his highly anticipated new studio album, 'Carry Me' on 9th April 2013. Once again teaming up with acclaimed producer Matt Bronlewee, the new album features first single and title track 'Carry Me' which exhibits Wilson's gift of relating the challenges of life and the need for a Savior like no one else. The song is a simple, honest prayer asking God to hold on to our fragile hearts - a prayer Wilson has voiced repeatedly since first experiencing severe anxiety and panic attacks. These vulnerable times reminding him that he is not in control no matter how hard he tries. "All I can do in those moments is pray," Wilson shares, "and I'm thankful that coming to the end of myself has brought me so close to a Father and Savior who loves me and will never leave me." Josh released his debut album 'Trying to Fit The Ocean in a Cup' in 2008 and more recently 'See You' in 2011. He will also share his songs and story on the road opening for Third Day throughout the Spring.